Eating out is about more than just great food and wonderful service, it’s also about a warm and inviting atmosphere that allows diners to sit back, relax, and enjoy their dining experience. 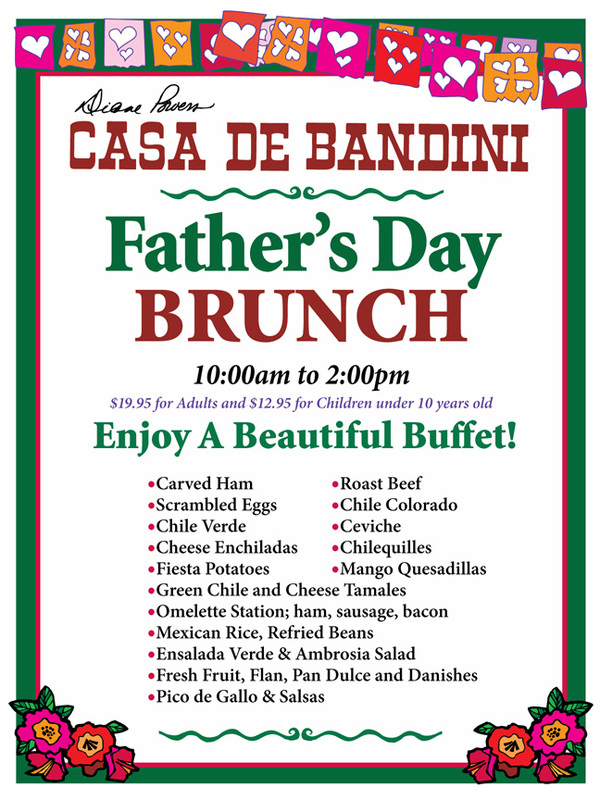 Unwind with us at Casa de Bandini on our beautiful outdoor patio! 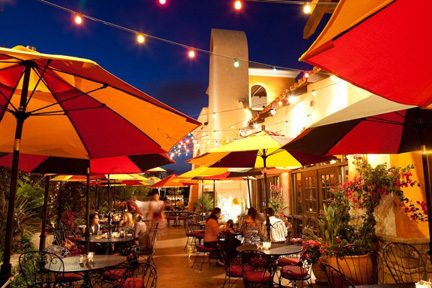 You’ll be surrounded by a lush garden, colorful umbrellas and a splashing water fountain made from Cantera Stone and handpainted tiles. 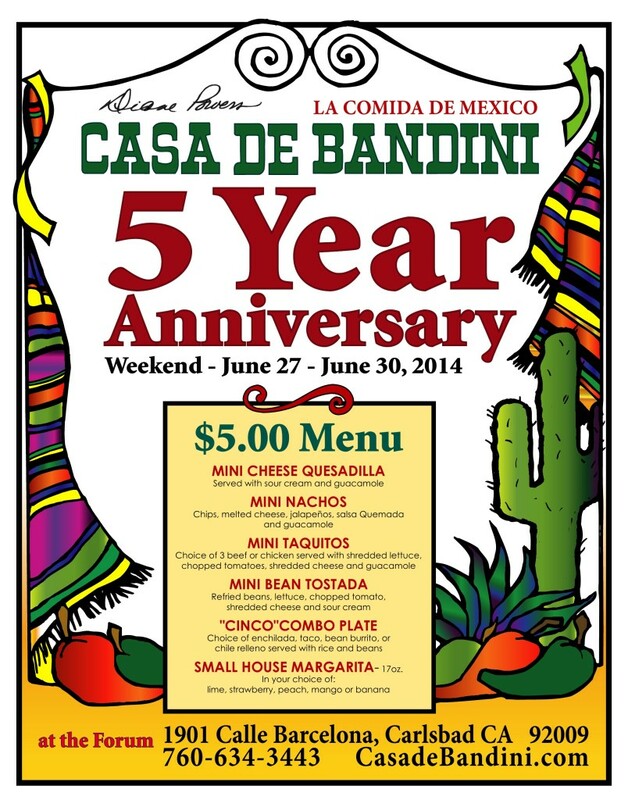 Help Casa de Bandini Celebrate 5 Years!